Though it may seem that data auditing is only about reporting and statistics, it’s one of the most critical components of any database security system. Auditing helps to reveal and investigate data leaks and data breaches. It is especially important when working with Big data. Teradata audit tool by DataSunrise keeps record of all user actions and changes made to your Teradata contents. Couple it with SIEM system and you will be always aware of what is going on with your database. There is an opportunity to notify about any suspicious activity, it minimizes risks by stopping attacks before they cause damage. 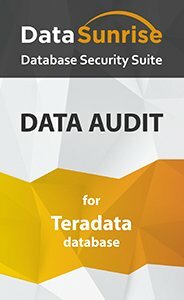 Teradata audit tool by DataSunrise allows monitoring and logging of access to a database with regulated detailed information of all database transactions from login to logoff. More detailed information on monitoring feature is available here. Audit results are saved into an external database or exported to any SIEM system. Teradata audit tool by DataSunrise is a helpful tool to detect SQL injections, brute-force logins, abnormal access patterns and other indicators that your database might have been breached, it is also valuable in retaining the information about data leaks and data breaches.